While the French e-book has been available for a while already, the finalization of the French paperback with its French editor Eyrolles took longer than expected. But the book is now available in any good bookstore. Go grab your copy. You might have noticed that the cover is really different this time. This is because the book moved from the collection “Cahier de l’Admin” (Admin Handbook) to the collection “Blanche” (White collection). 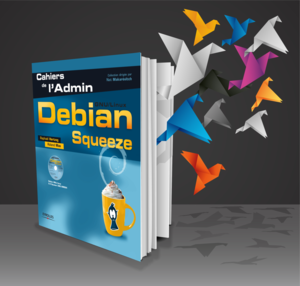 I’m pleased to announce that the Japanese translation team lead by Ryuunosuke Ayanokouzi completed the translation of the Debian Administrator’s Handbook (Jessie version). They even did everything required to publish a paperback version of the book. BTW, there’s a 25% discount for the launch of this new paperback, it’s only valid until March 16th so hurry up! また、今なら日本語ペーパーバック版の販売開始を記念して 25% 割引セールを実施中です。割引セールは 3 月 16 日までの期間限定で行われていますので、この機会をぜひお見逃しなく! Several translation teams are working since a few months to translate the Debian Administrator’s Handbook in other languages… it’s a huge work so most translations are far from being finished but apparently the German team is getting close. Even if the translations are not complete, I decided to publish their work in progress on-line. It’s always rewarding to be able to see the result of your hard work and hopefully it can also motivate other people to join the translations teams.